When will be Sweet Smarts next episode air date? Is Sweet Smarts renewed or cancelled? Where to countdown Sweet Smarts air dates? Is Sweet Smarts worth watching? 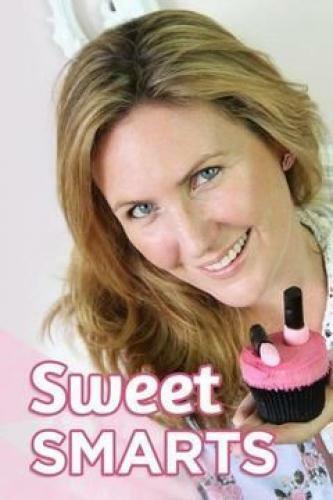 On Sweet Smarts dessert queen Elise Strachan creates delicious, easy and buzzworthy treats; a towering pancake cake with a rainbow center; ingenious tricks help change up a business' cupcakes; a pie and ice cream mash-up called the Pie Scream Cone. Dessert queen Elise Strachan does what she knows best, creating delicious, easy and buzzworthy treats that will get you baking and send your social media "likes" skyrocketing! She whips up a towering pancake cake that reveals a rainbow center, helps a business change up their everyday cupcakes with ingenious tricks, and creates a never-seen-before pie and ice cream mash-up called the Pie Scream Cone. Sweet Smarts next episode air date provides TVMaze for you. EpisoDate.com is your TV show guide to Countdown Sweet Smarts Episode Air Dates and to stay in touch with Sweet Smarts next episode Air Date and your others favorite TV Shows. Add the shows you like to a "Watchlist" and let the site take it from there.